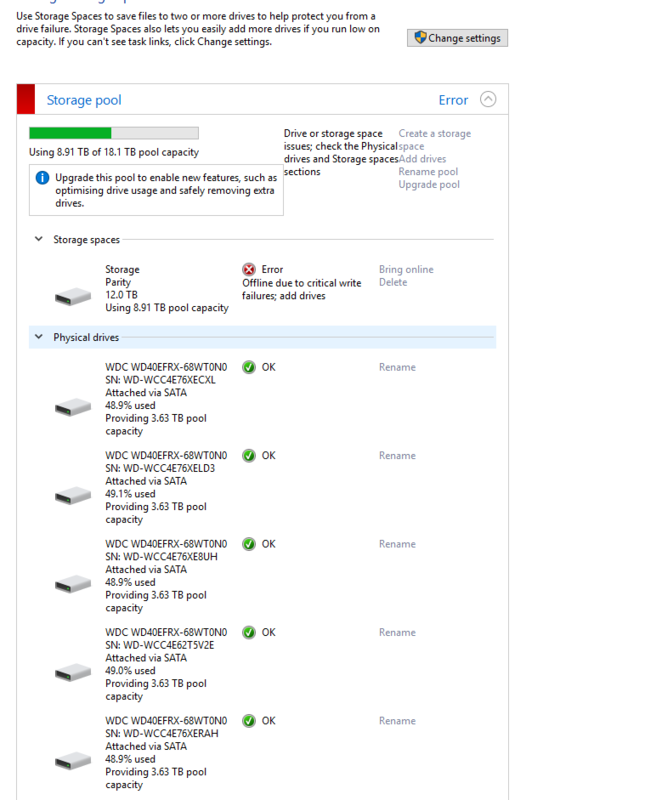 I am getting an error in Windows 10 Storage Spaces and the Virtual Volume has been taken offline. The error is Error Offline due to critical write failures; add drives. I am not sure what to do and if there is a way i can repair the virtual volume and bring online...any help appreciated. After adding a new drive the Storage Space came back online and I am now removing the old drive by 'preparing it for removal'. In this process all the data is copied off to the other disks (and in my case to the one i have just added which is obviously empty). 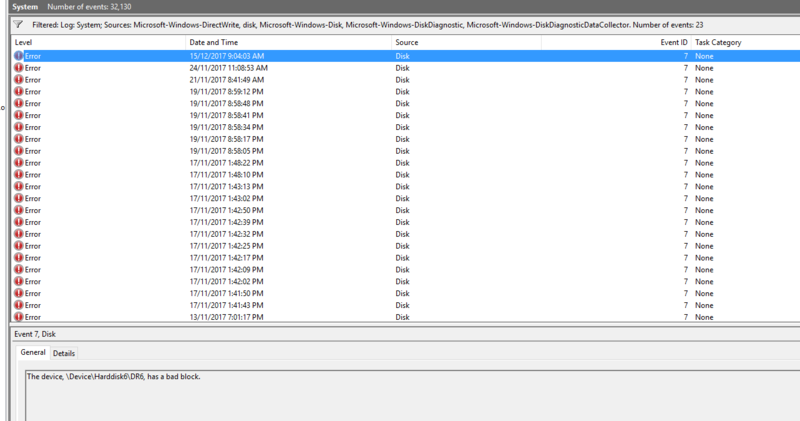 The problem for me was the Bad Blocks were not really being reported in windows or Smart as a problem or an unhealthy disk....so it looked okay but Windows knew it was faulty and could not really be written too. Which then took the Storage Space down. You do need a lot more than consumer knowledge for Storage Spaces troubleshooting but they do offer a degree of resilience to users data. 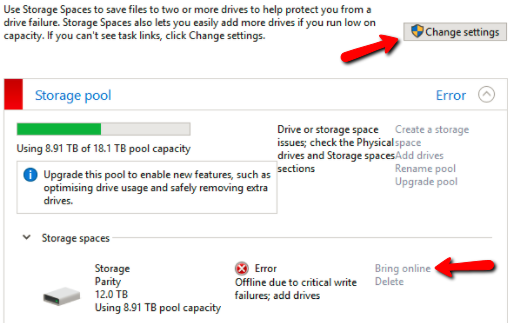 First, you need to run Manage Storage Spaces as admin. To do that, you need to click on the Change settings button. Not the answer you're looking for? Browse other questions tagged windows windows-10 hard-drive storage-spaces or ask your own question. Which external USB drives work with Windows 8 Storage Spaces? How to run ChkDsk on Storage Spaces which is stuck in read only mode?